Do you have a Disaster Recovery Plan (DRP)? Is your on-premise Disaster Recovery environment costing a fortune to stay idle in the event of a catastrophic failure? There are many options for cloud-based Disaster Recovery Plans that can significantly reduce your IT capital expenditure. 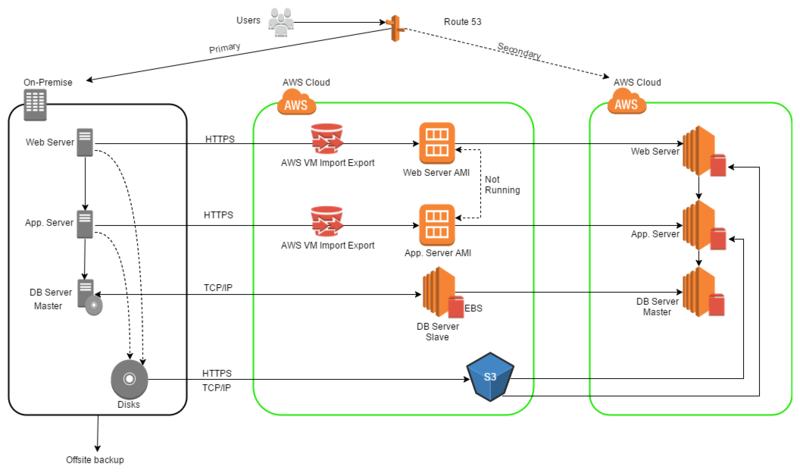 Migrating your Disaster Recovery environment to the Amazon Web Services (AWS) cloud will allow you to re-purpose your on-premise servers that were once sitting idle. Interested in learning more about your options with AWS cloud-based Disaster Recovery Plans? Contact us today and we will help you align your Business Continuity Processes with an AWS cloud-based solution, while reducing your IT capital expenditure. The Pilot Light solution is designed to maintain a small footprint environment in the AWS cloud. This solution is similar to a backup and restore solution. In the event of a disaster, the provisioned pilot light solution can be quickly provisioned to support your DRP requirements from 25% capacity to 100% capacity. The Warm Standby Solution is an extension of the Pilot Light Solution. Business critical applications are running on the AWS cloud. To reduce costs, these servers are provisioned at a minimum configuration. These environments can be used for non-production environments. This approach further reduces the recovery time as the critical applications are always running on AWS. 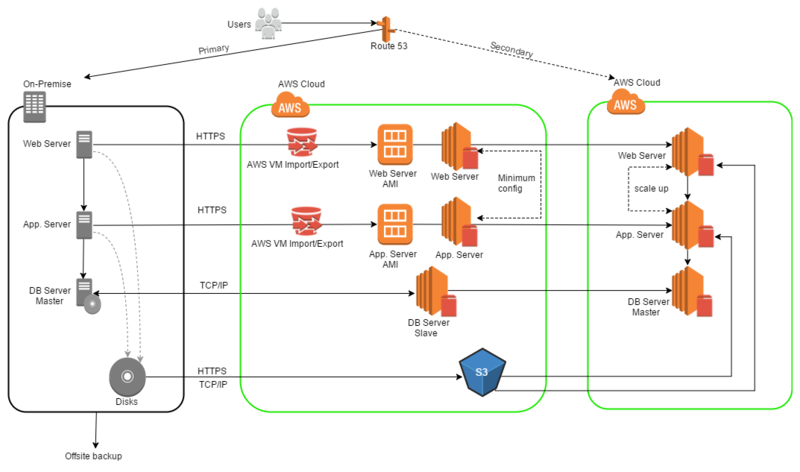 In this approach, the applications run in AWS as well as on-premise. These servers run at a production scale. Such environments can be used for production disaster recovery. 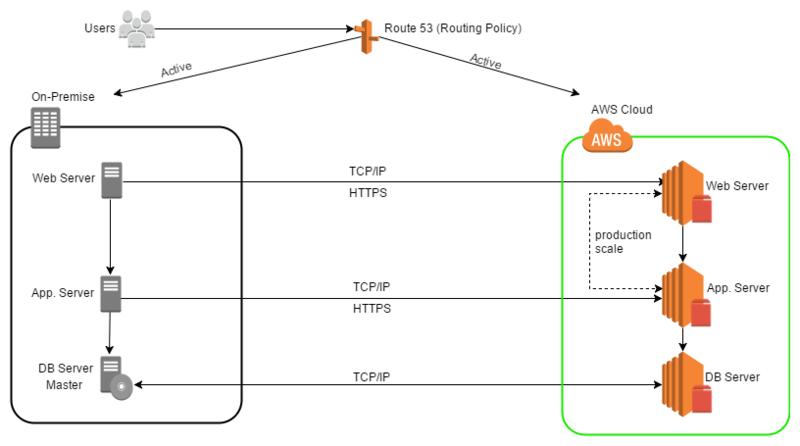 This approach further reduces the recovery time as all the applications are always running on AWS.